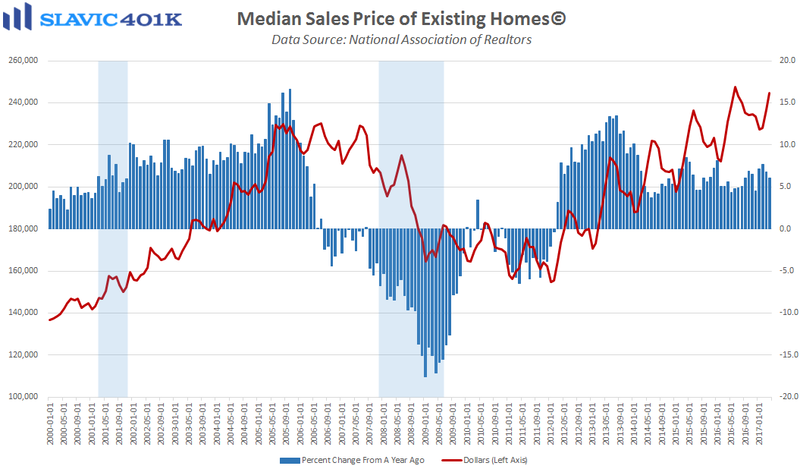 A new report from the National Association of Realtors (NAR) showed that total existing home sales in America, which account for a much larger portion of the overall U.S. housing market than new home sales, fell by 2.3 percent in April to a seasonally adjusted annual rate of 5.57 million units. 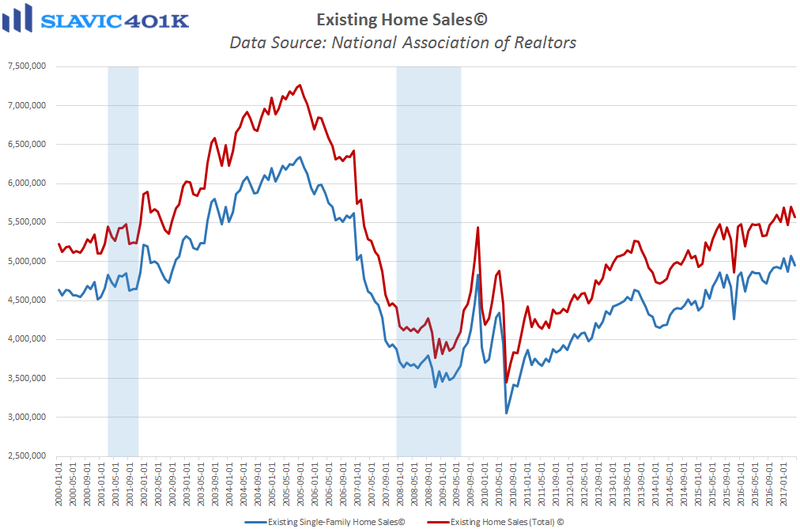 That was worse than economists had expected but completed transactions have still increased 1.6 percent over the past twelve months. 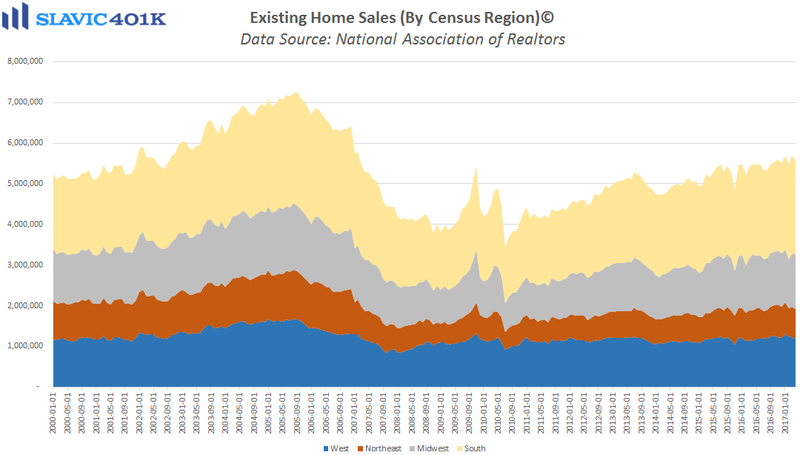 Regionally, existing home sales last month fell in the South (-5.0%), the West (-3.3%), and the Northeast (-2.7%) but rose in the Midwest (+3.8%). 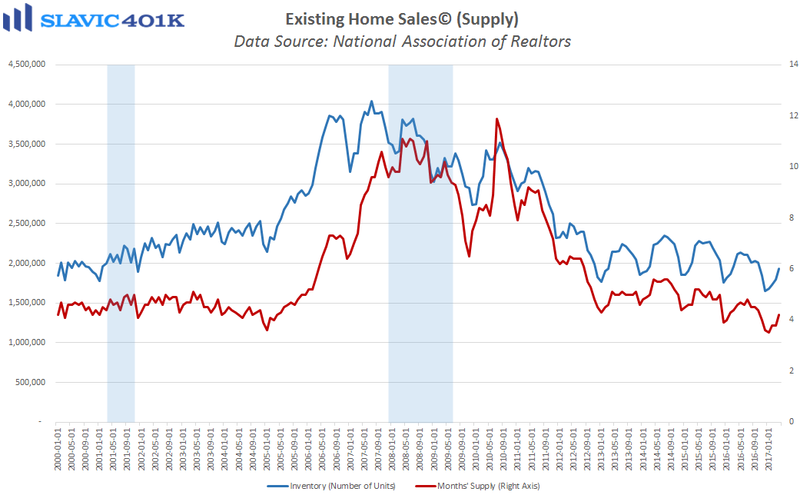 Total housing inventory rose to 1.93 million existing homes available for sale in April, although this was 9.0 percent lower compared to a year ago.